Creatine supplements are good, great in fact. Whereas other supplements have few promising research studies touching on their performances, creatine has hundreds of them demonstrating its benefit in bodybuilding, sports performance and fat loss. If you think all creatine is the same, well, think again. The popularity of creatine has led to production of different forms of creatine. Apparently, there is a new form of creatine in town. The one you see most is the creatine monohydrate, but there is his cousin with better performance; the creatine HCL. Just as its name suggests, creatine HCL is made by attaching a hydrochloride group to creatine with a purpose of enhancing its stability. As a standalone supplement, it has been proven to have superior properties to other forms of creatine due to its pH alignment with the digestive tract and excellent solubility. The creatine monohydrate has its downsides, one being the side effects, diarrhea and bloating among others. The stomach upset occurs because less than 3 percent of the original content navigates across the internal cells within the first 90 minutes. The rest sits up in your stomach sucking water from your guts. That is why scientists opted to come up with a better solution to this, an upgrade of the superior creatine monohydrate. Creatine HCL is recommended because of its superior solubility. Attaching the HCL group to the creatine molecule reduces the pH of the creatine, resulting in more acidity. Ultimately, this enhances its solubility in fluids. Studies show that creatine HCL is 40 times more soluble than creatine monohydrate. Who wouldn’t want to try it out? For certain I know I would. Many athletes aren’t aware of this new form of supplement. That is why we have gone the extra mile to compile for you a list of the best Creatine HCL supplements the market can offer. We present to you the best creatine HCL supplements for 2019. Topping our list is the original, best-selling and award-winning creatine HCL, Promera Health Con-cret Creatine HCL Supplement. It was the first to beat and successfully eliminate the side effects brought about by creatine monohydrate like bloating and water retention. This supplement is one of the most soluble supplements. You could try it and see. To use, pour the supplement in a glass of water and watch it dissolve. Compare it to monohydrate that sediments. Think about it, if a supplement can’t dissolve in water, how much is being absorbed into your body? Promera HCL Supplement is the only supplement to adopt Micro-Dosing Technology, which is useful on your body weight and workout intensity. What are you settling for with the Promera Health Con-cret Creatine HCL Supplement? First, you enjoy high solubility and availability eliminating bloating and gastrointestinal distress. Secondly, it boosts the availability of ATP in the muscle tissues. ATP helps boost your energy, power and enables you to endure intense exercises. Finally, it promotes quick recovery and also helps reduce muscle inflammation. SKIP THE LOADING PHASE - KAGED MUSCLE's formula allows you to skip the typical creatine-loading phase. BANNED SUBSTANCE FREE - Third-party tested to be free from banned substances. You can see exactly what's in each tub with 100% ingredient transparency on the label. Athletes, bodybuilders, and weightlifters highly value creatine for its benefits in working out. Kaged Muscle created a superior HCL creatine product for their customers; the Kaged Muscle Creatine HCL Powder to see them through their workouts. The supplement comes in two forms, powder and capsules forms. The powder is mixed with your favorite drink and preferred by those who hate popping pills that your stomachs have to break after that. Its ingredients are patented, and so their quality and your safety are guaranteed. Another safety assurance comes from its banned substance free as tested by a third party. You don’t have to worry about changing of pills and other low quality and harmful ones inserted in the bottle, no! A good feature about it is that its unique formula allows you to skip the typical creatine loading phase and absorption occurs quickly. There are no artificial flavors or colors added to this supplement. It is 100 percent pure creatine powder. In addition, its dosage is of small quantities, less powder, and few pills. 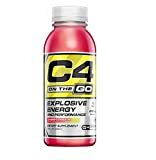 For this, the supplement is long lasting and can see you through numerous workouts. 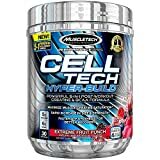 MuscleTech introduces a 5 in 1 formula product which aims at regenerating your body strength, MuscleTech Cell-Tech Hybrid. Among its ingredients is leucine, the most potent BCAA; its purpose being to amplify protein synthesis and also help build your muscles. Also in its ingredients features tart cherry and added electrolytes. 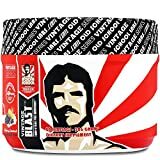 In fact, this supplement is the only creatine supplement in the market known to contain the tart cherry. Tart cherry assists in reducing muscle soreness and replacing the electrolytes lost during intense workouts. ATP is essential in your body as it is the primary source of strength for your muscles. MuscleTech Cell Hybrid provides 5 grams of creatine which in turn gives rise to ATP. Your muscles will fire up, regenerating the dead cells lost during workouts. What the MuscleTech Cell Hybrid is popularly known for is building muscles and increasing strength. A test was carried out indicated an increase in strength by 40 percent in just 12 weeks. For the athletes who want to improve their power and have leaner muscles without having to deal with the side effects, this is the supplement for you! For a product that is 100 percent creatine HCL without any added preservatives or ingredients, the Body Fortress® Pure Creatine HCL is your ideal supplement. It comes with no added sugars, artificial colors or flavors. In addition, it is free of yeast, milk and its derivatives and wheat. People allergic to aspartame and gluten should have no problem using the supplement. The Body Fortress® Pure Creatine HCL has been specially made to help you achieve your best performance. By maximizing each workout, your peak is guaranteed. The supplement’s dosage is simple. Take one scoop with 4-6 ounces of water. Leave it for 10 minutes after mixing before consuming it. It is worth mentioning that pregnant and lactating mothers should consult with their doctors before using this supplement. Also, people with kidney problems are advised against using this supplement. The supplement is available in 100 servings and could last you months of regular workouts. Lastly, the supplement should be stored at room temperature and out of children’s reach. Ensure it is tightly closed and away from excessive heat. Creatine is widely-recognized by sport scientists and athletes alike as arguably the most effective workout supplement for strength gains, muscle growth and faster recovery. What researchers have done is highly commendable. They have provided you with a better version of the best supplement – quick results with unnoticeable side effects.. Clearly, nothing beats the creatine HCL supplements. The creatine HCL supplements outlined above are 100 percent pure, with no added sugars, colors or preservatives. They come from trusted manufacturers who have been in the industry for years. Your safety is thus guaranteed. They are all available on Amazon.com for purchase and shipping. Grab yours today!